THE INCONVENIENT TRUTH ABOUT CHRISTIANITY is the fact that not everyone goes to Heaven, not every belief system is correct and millions of people stand condemned already. 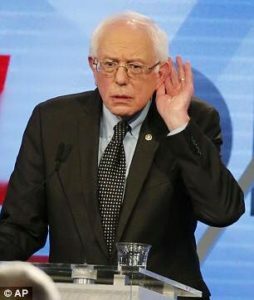 Sanders: Let me get to this issue that has bothered me and bothered many other people. You wrote, “Muslims do not simply have a deficient theology. They do not know God because they have rejected Jesus Christ, His Son, and they stand condemned.” Do you believe that that statement is Islamophobic? 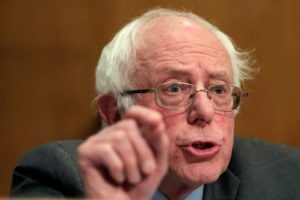 Sanders: I understand you are a Christian! In your judgment, do you think that people who are not Christians are going to be condemned? 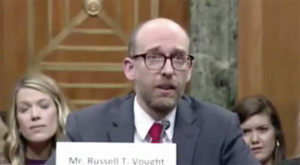 I want to jump in right here and say that it really doesn’t matter what Vought had to say in answer to Sanders’ question, but I am glad that he was straight-forward in explaining his beliefs without denying the facts of what Jesus taught and what the Bible says. Does Jesus leave room for any other way to get to God? Think about it. Can you interpret what he said in any other way than what he actually said? You can forget about those “alternative facts,” by the way. Was Jesus lying? Was he joking? Was this some strange metaphor, not to be taken literally? No. No. No. Take it at face value. There is only one way. Can you get to Fredericksburg from Johnson City by going east on Hwy 290? No. There’s only one way. “Condemned already,” Jesus says. That means right now, as if you are on death row waiting for the sentence to be carried out. You are condemned already because of your sin, of which everyone is guilty. You can get off death row if the Governor shows you mercy, makes a call and grants you clemency. God showed his mercy by sending His Son to die on your behalf. 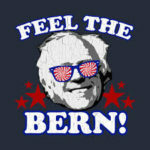 Jesus would have felt the Bern and wouldn’t have been confirmed by Sanders.